In 1938, an archeological expedition was sent to investigate a secluded area of the Baian-Kara-Ula Mountains on the border that divides China and Tibet. The group discovered a series of caves at the summit of the mountains. The caves contained a large collection of graves and the walls were decorated with drawings of people with elongated heads together with images of the sun, moon, and stars. The archeologists uncovered the graves and discovered the remains of ancient beings. The skeletons were a little more than three feet tall, with abnormally large skulls. Inside of the tombs a collection of stone disks were recovered. 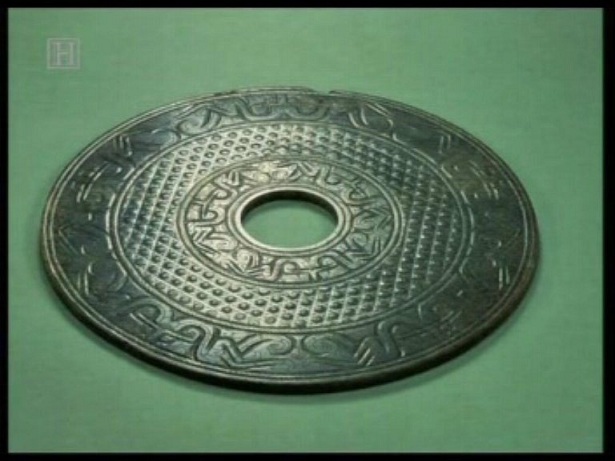 The disks were almost twelve inches in diameter, with a hole in the center. The objects had a groove on the surface of the disk and spiraled outwards from the center hole forming a double spiral. Closer inspection showed that the grooves were actually a line of small carvings or signs. The disks were labeled the Dropa Stones. Subsequent investigations have found a total of 716 Dropa Stones in the Baian-Kara-Ula Mountain caves. The Dropa Stones were sent to a variety of scholars for investigation. One of them, Professor Tsum Um Nui of the Beijing Academy for Ancient Studies, found that the spiral grooves were actually a line of characters written in an unknown language. In 1962, he announced that he had managed to translate the language. For a long time, the Peking Academy of Prehistory forbade the professor from publishing anything about the Dropa Stones. However, after many years of debate he published his hypothesis. Tsum Um Nui claims that an alien spacecraft crashed in the Bayan Har Shan region 12,000 years ago. The occupants were aliens called Dropa or Dzopa. The Dropa could not repair their craft, so they tried to adapt to the conditions on Earth. Meanwhile, the local Ham tribesmen hunted down and killed most of the aliens. Supposedly, the aliens had intermarried with the locals, making identification of the origins of the skeletons more difficult. Many people have challenged these claims and Tsum Um Nui was forced to resign from the Beijing Academy. The Dropa Stones have been disappearing all over the world and are not available for public viewing at any museum. However, pictures of the artifacts do exist. 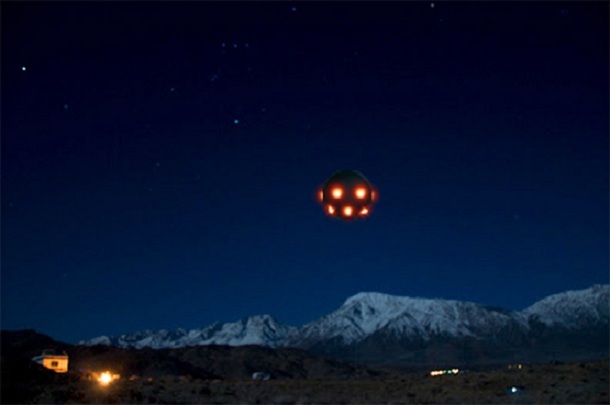 At around 3:50 AM on Sunday, August 26th, 2012, I noticed a strange object in the night sky. I was looking through a sky light in my bathroom and noticed a small star, plane or satellite moving across the sky. It was moving north and I was looking east. 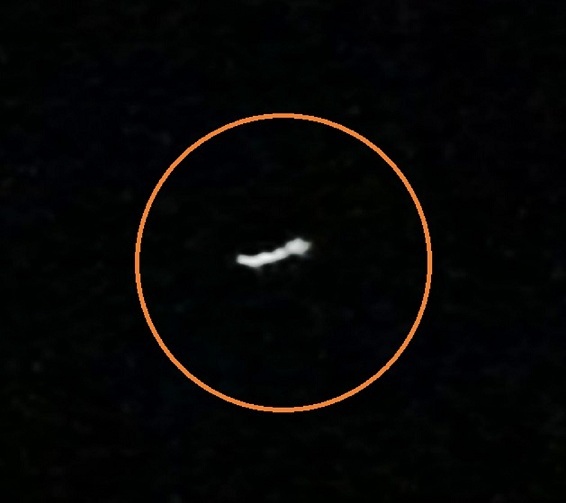 I thought that it might be a satellite because it was going too slowly to be a plane. It then did something strange. It stopped and started to descend a bit. It then lined itself up between two stars that I could see in the sky. From where I stood it appeared to have a triangular form. Not sure how to describe this but it had three seperate areas where the light was emitted. The object shone like a star, but it was very different. I watched it line up with the stars but I knew that this was not a star at all. I quickly ran and got my IPhone. I took two seperate videos of the object and they didnt look like much, but the interesting thing is that the other stars did not show up on the video but this one did. I also zoomed in and took a picture of the object. I enlarged it on my TV set the next day and it was remarkable. It looked like some kind of ship although the picture is very grainy. It had three large dark circles under it and it was emitting light. It was definitely not a star. Again, none of the other stars even showed up on my phone. It was late and I was tired and I went back to bed. I got up 20 minutes later and checked to see if it was still there. It was still there. I went back to bed, but this time I fell asleep. It rained hard the next night so I did not have the chance to see if it would return. In my opinion, it was hovering over the city of Chicago for some reason. 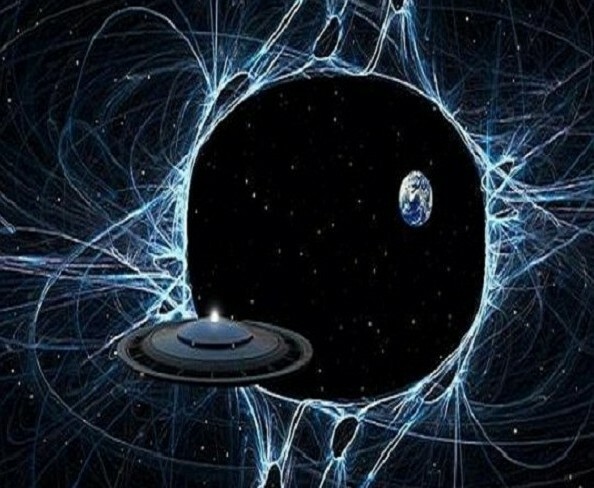 I guess we are not alone in this big universe as it seems that someone is watching us! NOTE: The above image was submitted by the witness. 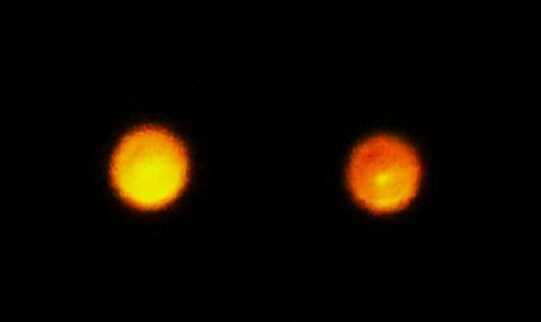 Two fiery balls flown over the house tops. Neighbor saw the first one coming then we saw the second one coming shortly behind it. They both came from the south and headed to the north. Both had no sound. We lost sight of the objects as it continued north behind houses. My family (wife, 2 kids 10 and 7) had just bought ice cream cones and began walking home west on heather hedge dr in Chippewa lake. A nearby 12 year old boy pushing a girl in a stroller was heard saying “I dont know what that is. What is it?” I looked to see what the boy was talking about and he was looking skyward. I looked up and saw an orange fireball flying at airplane altitude. We were just 20 miles or so from CLE airport. My whole family saw this fireball hovering then moving in a erratic path. I pointed out that it had no blinking lights as a plane should. As we watched it pause then begin to move again it disappeared instantly. My wife commented that it was as if it knew we were watching it so it disappeared. The boy who alerted us to the object said he could still see it but it was not glowing. It was not visible to me or my family at the point. Hi my name is Joe and I live in Bedford Ohio. I wish I could say I saw this sighting first hand but it was my grandmother. It was approximately 10 o’clock pm on Saturday August 25TH. My grandma described it as a rectangular shaped fire in the sky that traveled slowly with no sound over from east to west then took an erratic turn more towards Lake Erie direction. I did a google search about this sighting and found two other sightings similar to what my grandma described on this day. Thanks for running this website I am very fascinated with these stories and love to think about what is out there. 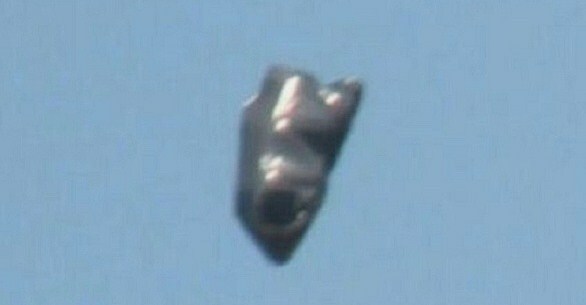 Special thanks to Joe Mislosky for reporting this to World UFO Photos. 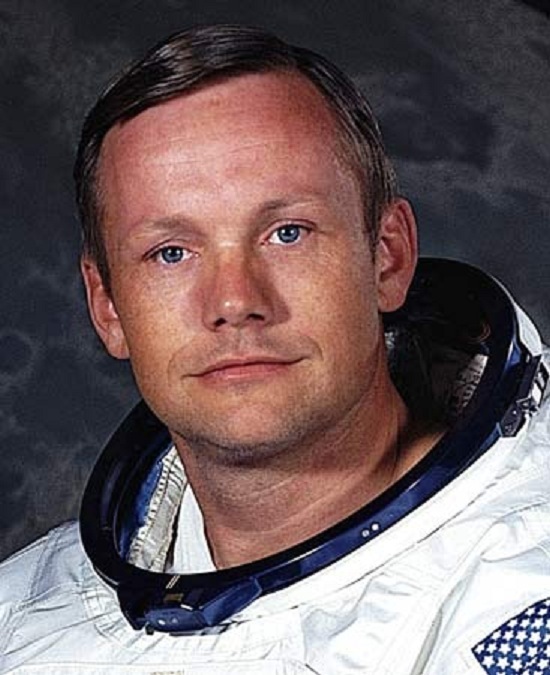 CINCINNATI — Neil Armstrong was a soft-spoken engineer who became a global hero when as a steely-nerved pilot he made “one giant leap for mankind” with a small step onto the moon. The modest man, who had people on Earth entranced and awed from almost a quarter-million miles away, but credited others for the feat, died Saturday. He was 82. Armstrong died following complications resulting from cardiovascular procedures, his family said in a statement. Armstrong had had a bypass operation this month, according to NASA. His family didn’t say where he died; he had lived in suburban Cincinnati. Armstrong commanded the Apollo 11 spacecraft that landed on the moon July 20, 1969, capping the most daring of the 20th century’s scientific expeditions. His first words after becoming the first person to set foot on the surface are etched in history books and the memories of those who heard them in a live broadcast. “It was special and memorable but it was only instantaneous because there was work to do,” Armstrong told an Australian television interviewer this year. Armstrong was among the greatest of American heroes. The year was 1974 and on one warm summer night about 9 p.m. my family and I were playing a card game. Our house was located on Old Mchenry Rd. between Forest Lake and Hawthorn woods Illinois. We were into our game for about an hour when a car drove fast up our driveway. We realized it was a friend of ours. What was strange was she never came over this late. She ran towards our door we were all looking out of. We wondered what was going on for her to be here at this hour. She said there’s ufos everywhere. We all looked at each other and asked “what’s a ufo” ?? Seeing I was only ten then and can honestly say I never heard that term before. We walked out side and started looking into the night sky not knowing what we were about to see. I pointed up and said look at that orange light. 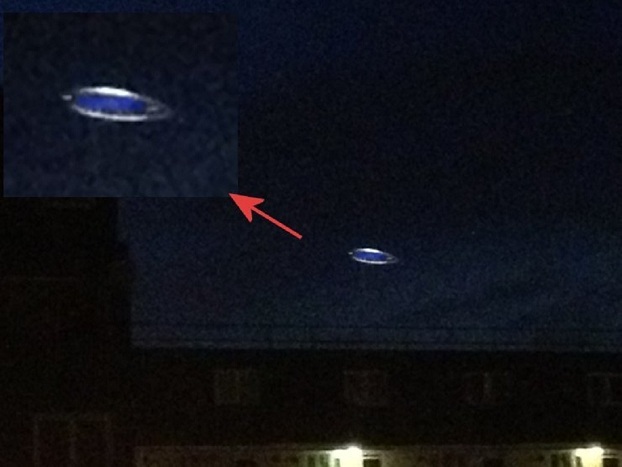 Then we noticed that there were at least five or six of them positioned in the sky. Not in any formation but just randomly spread out and not moving. The color resembled that of a campfire that’s glowing deep orange. Matter of fact I can say that I’ve never seen that much of color ever since. We were all looking at the lights for a while when one started coming our direction. It stopped almost directly overhead. Seconds later another one moved closer. One at a time these lights moved nearer to us. By this time we were all getting scared so we called our friends husband and told him what was happening. He drove over within minutes and also was looking at the lights. By this time they were all around the house above and near our 2/3 acres. 2 or 3 hundred feet up. 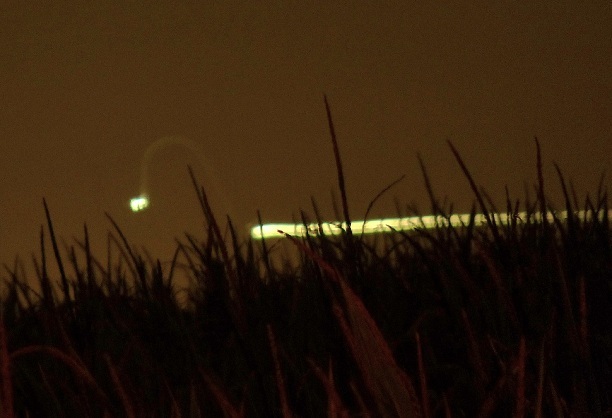 Maybe less because one of the lights hovered then decended over the swamp which was about 2 or 3 hundred yard away. It was out of sight for 30 seconds or so then rose to it’s original hovering position. The Lake County Sheriffs dept. was called and two deputies arrived shortly after. They didn’t have to ask us what was going on because they saw them right away. Here we were just staring at these lights with the deputies, admiring their orangeness. One at a time they would move then stop, move then stop,move then stop. Like they were looking for something. One of the lights moved very close to another then hovered next to it momentarily then moved back to it’s original position. Drivers by were pulling over seeing what we were seeing. After two hours or so they took off into space (one at a time) leaving an orange streak in their wake. The objects were about 3 times the size of venus when it is in full view. The color orange was undescribable. I guess you couldn’t get it more orange than that. What they were can only be a guess. This incident happened 38 years ago and is burned into my memory. Seeing this started my quest to gain knowlege of what we saw and what others may have seen in the world. NOTE: The above image is a rendering. Special thanks to the witness Ben Garfield. My daughter spotted an object in the sky. It was approx. 5000 to 10,000 ft in the air on a partly cloudy day. The temp was 73 degrees. 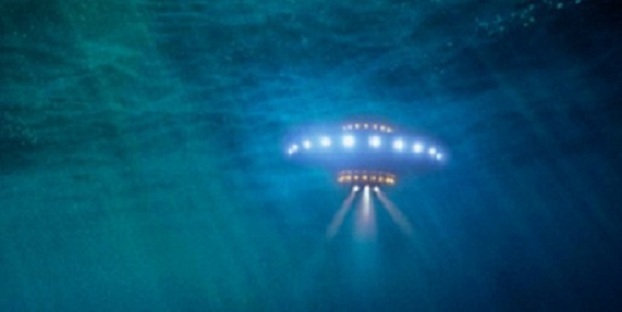 The object was floating from The Garden State Parkway, around exit 91, towards South East to the ocean below Brick twp and Mantaloking beaches. It seemed to be odd shaped almost the size of two school buses side by side wide. Definetly metalic with red and greenish orange coloring, possibly from the sun. I started to take video of it and it was very hard to get excellent video shot on it although I tried to stop the shaking. It was far and I kept on losing sight of it. There was no noise. There were no Chem Trails, no smoke, no Wings, nothing! It happened quickly, it was not rising, it was traveling straight. Fort Dix is about an hour away south west and there is Lakehurst Naval Air Station. There is also a Trans-Atlantic cargo plane that flys in from the ocean and heads west around 2:00 pm daily. Also the Banner planes fly over the area which you see when you are at the beach in their single engine prop jobs. Coast guard Helicopters fly past but without any mistake this was not a Aircraft, Blimp or Balloon. It was absolutely something else. Approx 2 hours after that four F-16s flew in the same direction and on the next day F-16s took the same path the opposite way. NOTE: The above image is a rendering. I was driving home on West State in Bristol, TN. sometime between 10:30-11:00 on Tuesday night and I happened to see a bright object in the sky. I live in a town called Bristol, which is literally split down the middle by the state line. One half is in Virginia and the other half is in Tennessee. At the time that I witnessed whatever this was, I was on the TN side, but I could tell that the object was in the sky on the VA side. There is an airport in Blountville, TN which isn’t very far from Bristol, so seeing things in the air isn’t unusual. At first, I assumed it was just an airplane. As I drove further down the road, the light in the sky got brighter and it seemed like the object was going slowly across the sky. As I got closer to the light, it seemed to change direction rather easily, so I immediately thought it was a helicopter. Seeing a helicopter isn’t that unsual, our local hospital has one for emergencies and the police department has one too(I think). Finally, I came to stop at a traffic light. The light was red for maybe a couple of minutes. I never took my eyes off of the light in the sky while I sat there. As I sat there, I witnessed the light in the sky come further down from the sky. Then it stopped and just hovered there for a moment and changed direction, then it stopped again and abruptly changed direction again. At this point, I started thinking that this was definitely not an airplane and the odds of it being a helicopter was beginning to seem slim as well. Finally, the traffic light turned green and I drove down State Street here in Bristol. State Street is literally split into the TN and the VA side. Thankfully, there wasnt any traffic behind me, so I drove rather slow down the road. At this point, I could see whatever was in the sky very clearly. I was literally right underneath it and as dangerous as this sounds, I had my head out the window looking up at it as I was doing my best to not run into any cars or people. 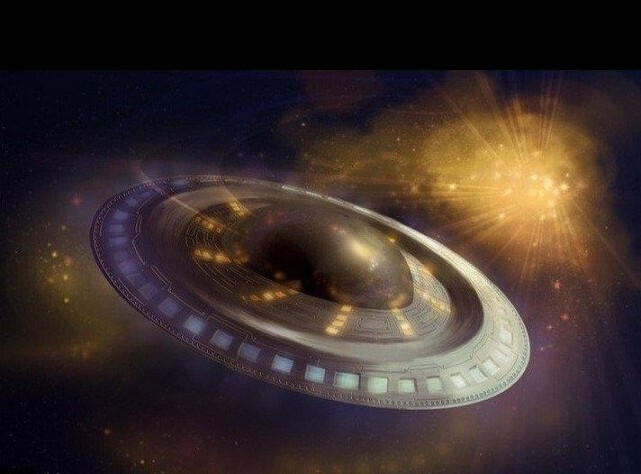 It was an oval/disk shaped object that was surrounded by lights. I am not good with distances, but whatever this was, was rather low. Low enough that I could actually see the underside of it being a slightly different color than the night sky. The lights surrounding the object were of a reddish/orange color. It made no sound at all, it was completely quiet. Yet another reason why I dont think it was a helicopter. I’ve seen and heard helicopters before, they can be quite loud, epsecially that low in the sky. Finally some traffic got behind me and I had to speed up, and I was no longer underneath of it. I looked into my rearview and it was gone….gone that quickly. I even stuck my head out of the window at the next red light and looked back and I saw nothing. It was like it was never there. 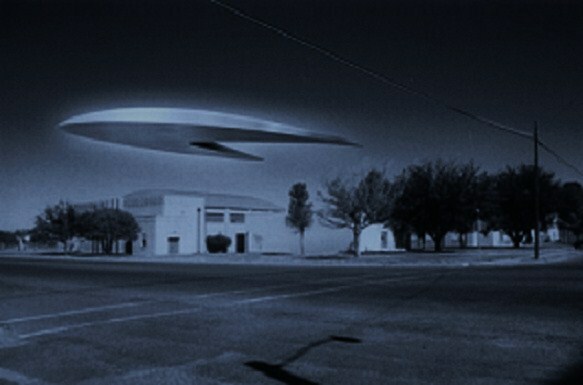 I’ll say this before I go any further, I do believe in UFOs. I’m not saying that they are extraterrestrials, all I’m saying is that there are things in the skies sometimes that cannot be explained by conventional reasons. I honestly think I saw something that fits that category. It wasn’t an airplane. I truly don’t think it was a helicopter. It wasn’t a blimp. It wasn’t a weather balloon. It wasn’t Venus and it sure as heck wasn’t swamp gas. Unless it was a drone or some other type of remote control hovering/flying/disappearing vehicle, then I am out of things that it could be. NOTE: The above image is a rendering. This morning at 05:20 AM Saturday, 14 July, 2012, I was riding in the front seat as a passenger coming back from a gig in Brazoria, Texas. We switched positions in the truck just prior to this event. I was sitting in the front seat passenger side of the truck. We were traveling on State highway 36 going Northwest bound just out of Milano. Steve, the driver, and I saw what looked like to be lights on what we thought could have been a tower a mile or so away. As we got closer, we realized that the lights were not on a tower but seemed to be suspended over the road. The lights were part of an object that seemed to be shaped like a pentagon. The light in the center was brighter than the other five and was located in the center of the underside of the object. 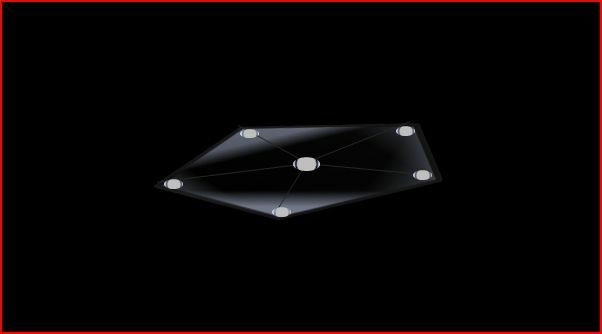 The five other lights were located close to the end of each corner of the underside of the pentagon-shaped object. All the lights were white and pulsated about once a second. We could see that the object had shape and a surface with seams or vents. The object seemed to be dull black or charcoal in color. It seemed to hover over the road approximately 30 feet in altitude as we passed underneath it going about 60 mph. The object appeared to be 20-30 ft across. We saw it fade in the rear view mirror as we drove farther away. It made no noise that we could hear over the noise of the car engine. NOTE: The above image is a rendering by the witness. On my way home from work on Monday, May 21, 2012 at about 9:40 PM, I was driving west on West Line Street just past Barlow lane, heading to my home which is north of Bishop. It is a fairly dense residential area. Suddenly, through the trees to the north, my attention was drawn to a very bright red light. It outshown every other light in view. Since it was low, no more than a hundred yards off the ground, I was confused by what I was seeing. At first, I thought it was a light on top of some radio tower, but there isn’t any such tower in the area. Then, I could see it was slowly moving in my direction. I thought it was too low to be an aircraft, and I have never seen such a bright red light on an aircraft. I slowed my car, and watched intently as the light passed over the trees and into the clear sky above me. It passed slowly over the two-lane road on which I was driving, no more than two or three hundred feet in front of and above me. I would estimate its speed as no more than ten to fifteen miles per hour. What had first appeared as a solid red light wasnt solid at all. It was a spherical object, made up of a geometric assembly of very bright red lights, each apparently identical and equally bright. The lights didn’t blink on and off, and did not vary in intensity. I would estimate the size of the sphere as no more than ten or fifteen feet in diameter, about the size of a small car, and as it moved, it was quite clear that the lights were evenly spaced, geometrically all around the sphere. I counted five lights on one hemisphere. It looked like some kind of huge lighted Christmas ornament. And it was beautiful. I was amazed and completely awe-struck by what I was watching. I pulled the car to the side of the road, stopped and rolled down the window, which provided a clear and distinct view of the sphere, which was by now no more than 200 feet away. I was able to estimate its height and distance by comparing it to trees alongside the road. It was completely silent, seemingly floating in the air. It continued its southward course, and as it passed by, the rear of the object came into view. I was struck by how evenly spaced the lights were all around the outside of the sphere. The red lights had an intense, radiant quality. They were very bright, and I could make out each individual light. It was like a ball of evenly-spaced red lights. My view to the south was completely clear, unobstructed by trees or buildings. I watched the sphere as it continued slowly south for perhaps a half-mile, clearly silhouetted against the dark night sky. The red lights remained on. Then, it accelerated abruptly, and moved up so quickly that it disappeared in the darkness. There was nothing left to see but the stars. The entire episode lasted about two minutes, perhaps less. I looked at the clock in my car when I first realized what I was seeing, and again after the object disappeared. I wasn’t drinking, or under the influence of any substance. I have never seen anything like it. I am convinced that it wasn’t any kind of aircraft; not an airplane, or a helicopter, or any kind of balloon. There was no wind, and absolutely no sound whatsoever. NOTE: The above image was submitted by the witness. Hi Ken, Woke up this morning at 3 a.m. Had a headache so I decided to go out and take some fresh air and look for falling stars/ meteor shower activity behind the house in car parking area. The sky was partly clear, with some high cirrus clouds in one section. Could see planet (Venus?) in SE along with the Pleiades and other stars. I did see a few faint meteors in the approximately Southern sky. There were also a few aircraft flying by mostly in the Eastern sky. Then an odd thing popped into view. It was a winglike nearly straight modified boomerang shape. It glowed softly and had no navigation lights. It flew on a fairly straight path from nearly overhead to a generally south direction when it disappeared over the rooftop. It was visible from 2-5 seconds. The three unusual characteristics were the shape (wing with no fuselage), popping into view, and the soft glow which emanated from it. I estimate the time of the sighting to be 3:50 am. I went back inside at that point because being alone outside had given me a hinky feeling. I checked the time when I hopped back into bed- 4 am. NOTE: The above image is a rendering. KEN PFEIFER WORLD UFO PHOTOS …….. Special thanks to my facebook friend R. Shaw for the sighting info. It’s worth noting that the figure in the sky appeared to turn into “the figure of a swine.” Everell was a leather dresser, meaning he worked with the hides of animals, tanned them, and turned them into leather goods. The “swine” or pig was the only shape in his mind that he could relate to. A far as legs of the swine, is it possible that these were struts or landing gear of a craft? Winthrop’s account also claims the event lasted two or three hours, which rules out any chance of the object being a meteor. 1638 was almost 150 years before the first balloon flights, so the possibility of the object being man-made is also ruled out. The witness also claims that their small boat was pushed back against the tide about one mile (back to where they first set their boat in the water) while they watched the object in the sky. Could this be a “lost time” phenomena? 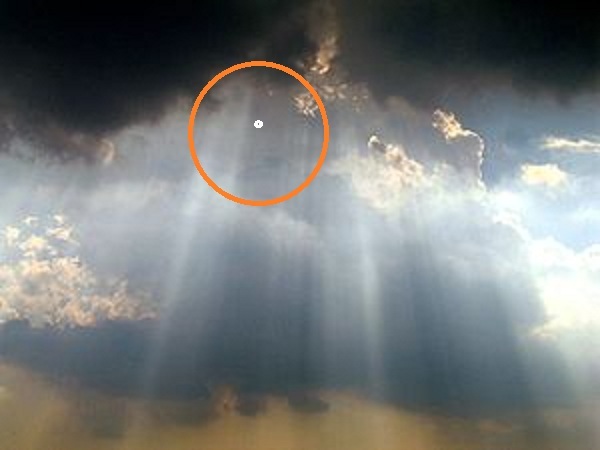 Were they physically moved by the object in the sky? 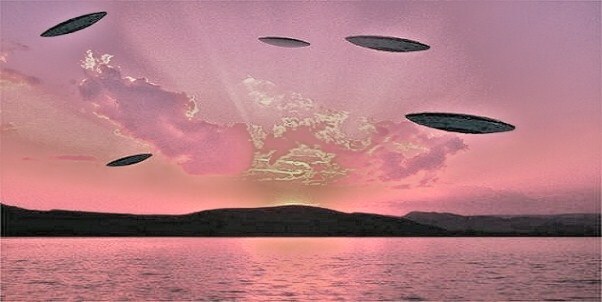 Could it be they were mistaken as to the tide because they were distracted by the unidentified object in the sky? 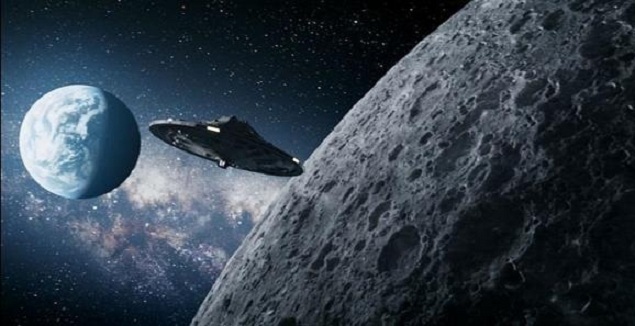 This UFO close encounter may have been more close than originally thought. “This account of an ignis fatuus [pale light over marshy ground] may easily be believed on testimony less respectable than that which was adduced. Some operation of the devil, or other power beyond the customary agents of nature, was probably imagined by the relaters and hearers of that age, and the wonder of being carried a mile against the tide became important corroboration of the imagination. Perhaps they were wafted [carry lightly], during the two or three hours’ astonishment, for so moderate a distance, by the wind; but, if this suggestion be rejected, we might suppose, that the eddy [whirlpool], flowing always, in our rivers, contrary to the tide in the channel, rather than the meteor, carried their lighter back.” NOTE: The above image is a rendering. I was driving along a desolate and completely dark country road that has cornfields and farms on either side. As I am about 2 miles from home I see to the left, above cornfield, a green light which then moved and I could see two other lights connected with it, all three different colors (I think copper/red and white)forming a horizontal line. The object was moving about in a sinister fashion that resembled an insect but with more precision. It had animation, and moved about with a concious quality. My first thought was it was a remote controlled toy plane, but its movements were so bizarre I changed my mind. I stopped my car on the side of road to look closer and another one appeared. Identical to the first. I could not make out anything other than the lights. It was pitch black on the road and there was nothing to illuminate the actual object. I could see that the three lights were part of one piece, moving together. The two objects seemed to be communicating and/or following each other and were hovering and moving very low to the ground, about the height of a medium sized tree. I decided to pull away and as I did, both objects were visible in my rear view mirror. They came over from the cornfield and were now hovering over the road, as if watching me drive away. They quickly disappeared back over onto the cornfield. NOTE: The above image is a rendering. A retired US Air Force colonel who was in New Mexico at the time of the infamous 1947 Roswell incident claims that two unidentified flying objects crashed into the desert. 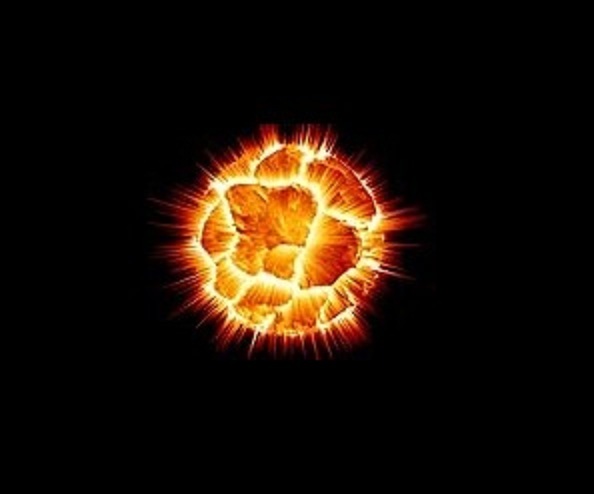 “When they hit it with that electromagnetic pulse– bingo!– there goes all their electronics and, consequently, the UFO was uncontrollable,” he added. French, who was an Air Force pilot at the time and who later flew combat missions in the Korean War and in Southeast Asia before working for military intelligence, says he was told about the alleged UFO shoot-downs by another military officer who informed him that a second UFO crashed near Roswell a few days later. French also says he saw photos of debris from the crashed UFO. “[It] had inscriptions on it that looked like it was in an Arabic language– it was like a part number on each one of them. They were photographs from a folder that I just thumbed through,” he claimed. Recently, retired CIA agent Chase Brandon claimed to have seen files containing photos and material confirming that a UFO piloted by space aliens had crashed at Roswell. What’s interesting about Lt. Col. French’s ‘admission’ is that for many years, he denied the existence of UFOs. In fact, French worked as an investigator on Project Blue Book, the Air Force’s 22-year study of unidentified flying objects. But French claims he was ordered to debunk UFO sightings. Retired Army Colonel John Alexander, who believes that UFOs are real, told the Huffington Post that Col. French’s story does not add up. “No chance! Zero chance!” he said, citing his own work with pulse-type weapons and access to top-secret UFO files in the 1980s. “In the 1980s, I was the guy developing all the pulse-power weapons systems,” Alexander said, adding that it was impossible for the type of technology French claims brought down a UFO to exist in the 1940s. 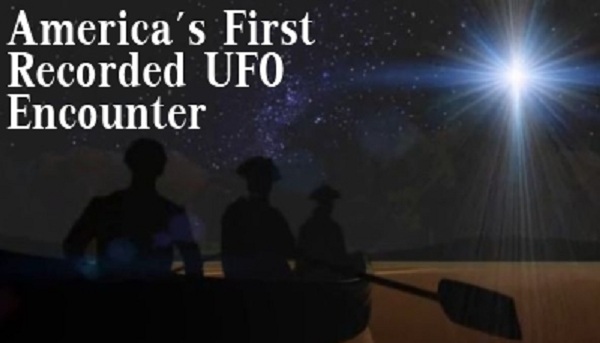 On July 8, 1947, Roswell Army Air Field public information officer Walter Haut announced that the military had captured a “crashed flying disk.” The local paper, the Roswell Daily Record, reported this story on its front page. But the very next day, Eighth Air Force commander Gen. Roger Ramey said that what had really been recovered was a downed weather balloon. KEN PFEIFER WORLD UFO PHOTOS …………… Thanks to George Filers and the Filer Files. I was sitting in Victoria park London listening to music on the 25th of May 2012 at 13:30 hours. I spotted a matt black coloured object floating in the sky about a half mile away from me. It appeared to be the size of a helicopter viewed at close quarters. I actually thought it was a helicopter, but as I carried on viewing this object, it quickly became clear to me that I was not looking at a helicopter at all. 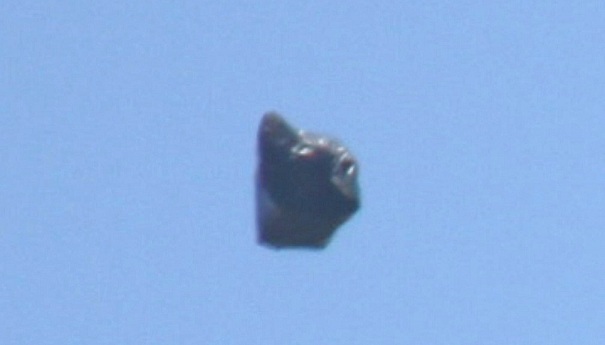 It appeared to be a triangle shaped object and it traveled from the east due north west. It made no sound and just glided across the sky. I estimated the distance of the object at its closest point to me to be between 300-500 yards and flying at an estimated height of about 5000 ft or possibly more. It was quite a hot and breezy day with clear blue skies. KEN PFEIFER WORLD UFO PHOTOS …….Special thanks to my friend A.A. for his sighting report. The sighting occurred on Tuesday, July 31 at about 10.23 pm by my daughter Chenade Hosein. I know this because she rang me as it was occurring, I told her to take pictures and they are the ones I forwarded to you. 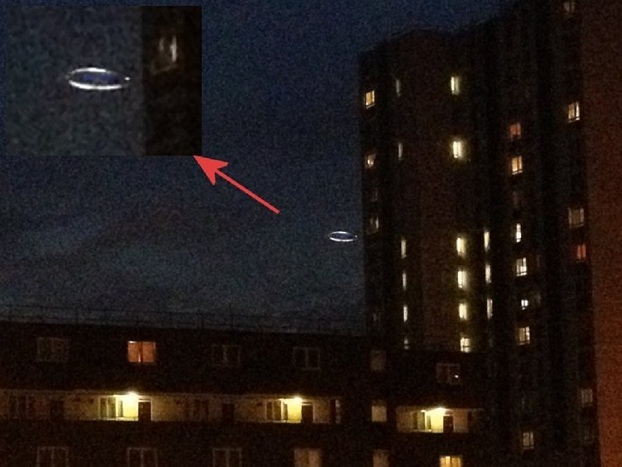 This took place in Kennington which is in London, England. My daughter was waiting for her boyfriend to visit. She looked outof her balcony to the street to see if he had arrived but he was not there. As she was looking this object caught her eyes. She immediately rang me as she knew I am interested in UFOs. She was scared.